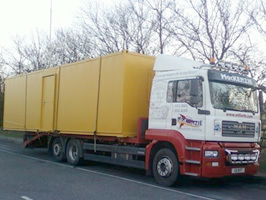 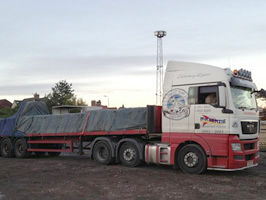 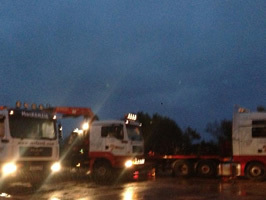 General Haulage services, Flatbed and curtain siders for all types of load. 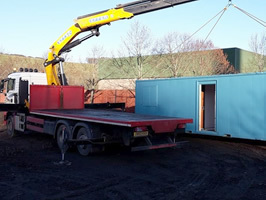 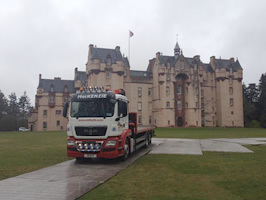 If you are looking for a haulage company in Scotland we are efficient and competitive general haulage contractors and can deliver anything from single items to full loads. 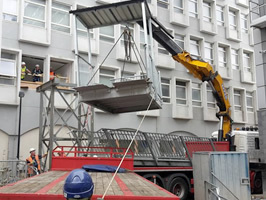 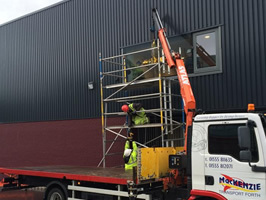 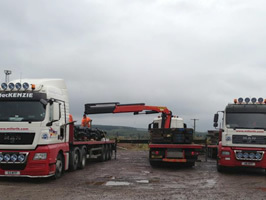 We operate a fleet of front and rear truck mounted cranes (often referred to as Hiabs) capable of collecting, lifting and delivering a wide range of loads across the UK. 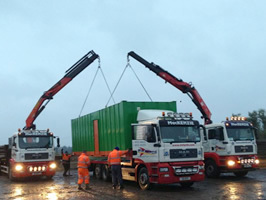 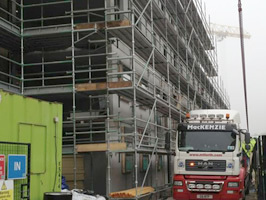 Relocation of containers, portable cabins, equipment, machinery, construction materials, fencing and portable roadways. 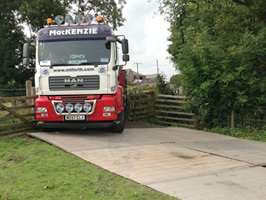 We store, deliver and install portable roadways and bog mats. 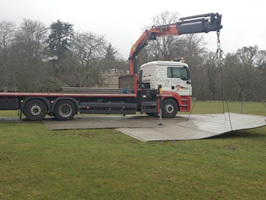 If you require portable roadway installed for access please get in touch. 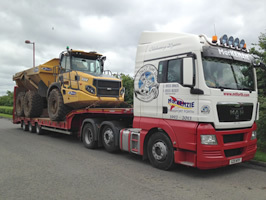 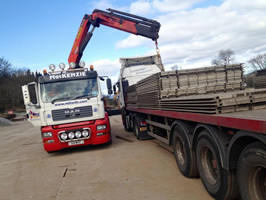 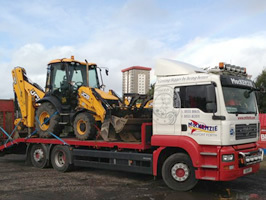 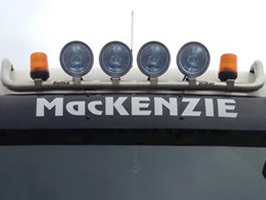 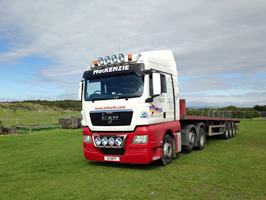 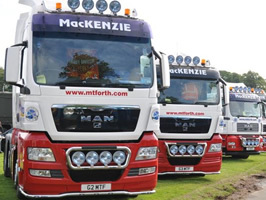 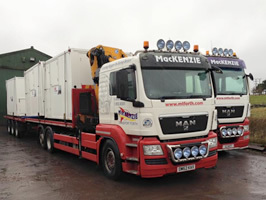 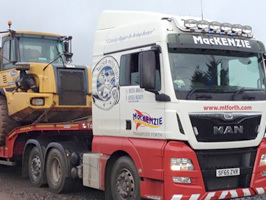 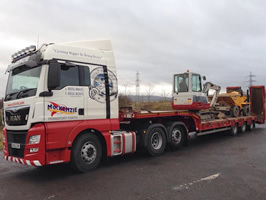 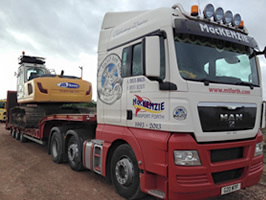 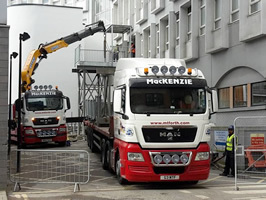 The MacKenzie Transport Group are based in central Scotland and specialise in same day delivery, full or part loads, to any location within the UK or Ireland. 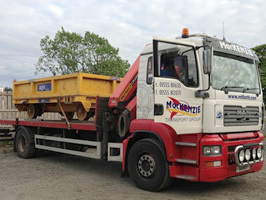 Heavy plant Haulage and Tipper Haulage / Aggregate Distribution, a comprehensive delivery service, Garage Services, Recovery Services and Hi-ab Services. 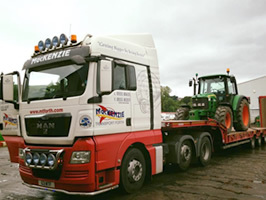 Our success has developed as a result of our total commitment to customer's needs, our customised service, Direct Response, and high levels of Customer Care. 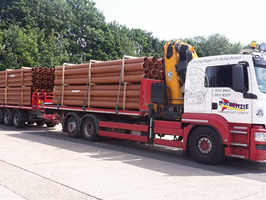 Established as a family run business the company has developed to the current group with more than 20 delivery and transport vehicles.